The surge in IT, auto and FMCG stocks were led by investors seeking safety against market volatility. Deepak Korgaonkar and Puneet Wadhwa report. 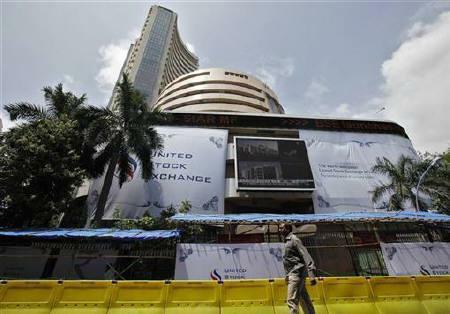 Stocks from the metal, information technology, fast moving consumer goods and automobiles sectors have been among the top performers during the Sensex's 2,400-point rally since March 2018 lows. While Hindustan Unilever, Nestle India, Dabur India and Britannia Industries from the FMCG sector have rallied in the range of 10% to 16%, as many as 18 stocks from the information technology sector such as Tata Consultancy Services, Mphasis, Mindtree, Sasken Technologies, Firstsource Solutions and NIIT Technologies have rallied between 20% and 43% during the period. The surge in IT, auto and FMCG stocks, analysts say, was led by investors seeking safety against the market volatility arising from global trade war fears, rising bond yields and the possibility of a faster-than-expected rate hike by the US Federal Reserve. Metals, on the other hand, benefitted from a rally in commodity prices globally. Domestic mutual funds made most of the opportunity and invested a net Rs 137 billion in equities during this period. Foreign portfolio investors, though, were net sellers to the tune of Rs 46 billion, data shows. "Markets were oversold as investors panicked on account of domestic and global factors. This created an opportunity to buy again at lower levels in segments that offered value," says Vikas Khemani, the chief executive officer at Edelweiss Securities. Going ahead, analysts believe the rally in these sectors will be stock specific since we are in the middle of Q4FY18 results season. That apart, the assembly election outcome, rupee movement, monsoons and interest rate trajectory back home and at the global level will be key for markets. Any volatility/negative development on account of these factors, they feel, will see investors seek safety. "Investors have been chasing stocks where there are growth visibility and attractive valuation. Since we are in a results season, the movement going ahead will be more stock-specific," explains Jagannadham Thunuguntla, senior vice president and head of research (wealth) at Centrum Broking. "IT stocks will continue to benefit from the rupee's movement over the next few quarters. Thus far, the monsoon prediction has been favourable. If it proves to be right, FMCG stocks will also do well," adds Thunuguntla. Among sectors, Vineet Bhatnagar, managing director and CEO, Phillip Capital (India), has upgraded the IT sector to a 'buy' in his model portfolio. "Chances of recovery for the IT sector in FY19 are high. The March 2018 quarter will be better for large-cap IT companies and going forward we see the possibility of further earning upgrades. Dollar appreciation provides further tail winds for this sector," Bhatnagar says. G Chokkalingam, founder and managing director at Equinomics Research, advises investors exit metal stocks given the trade protectionism fears. "Metals is a cyclical sector and the stocks have run up sharply. One can exit Hindalco and Vedanta for now," he says.